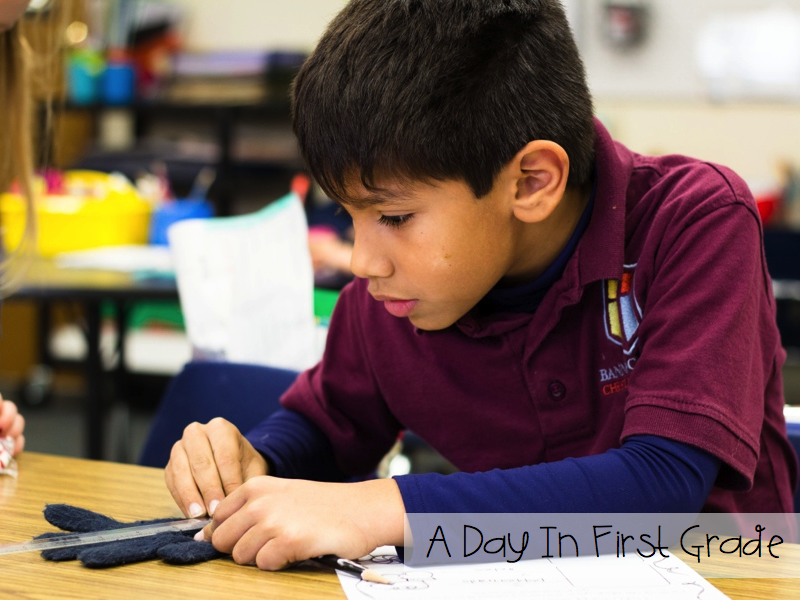 A Day in First Grade | Winter is Here!! Winter has definitely hit my classroom. While we are NOT experiencing all the snow and cold that y’all are having, we did get a few cold days! In fact, they say it’s the coldest it’s been here in 20 years!! Crazy!! To really get into our theme, our classroom has been turned into a winter wonderland complete with Frosty the Snowman and super fun centers, games, and activities. This week we are practicing how to write “friendly letters.” To teach the elements of a letter I put it to some familiar hand motions. We use head, shoulders, knees, and toes for this! 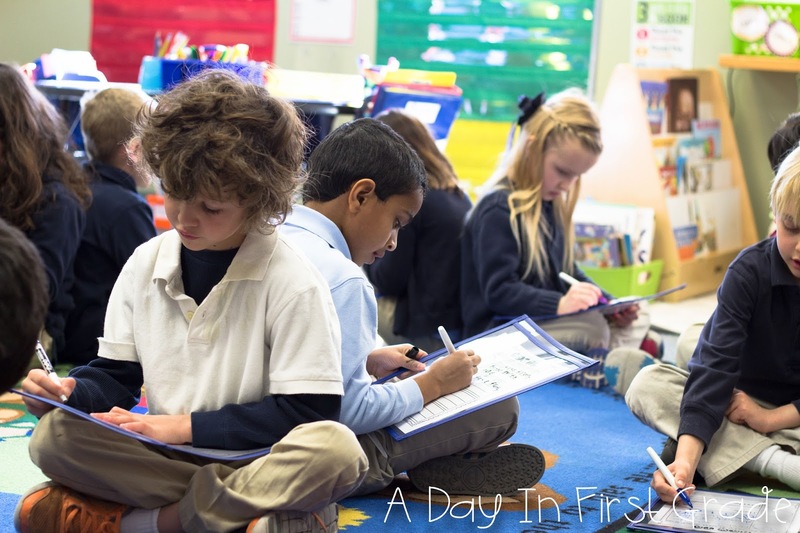 I start off slow, repeating the word multiple times and then we get faster and faster. For Greeting, I touch my shoulders with my hands and shrug them up and down. For Body, I put my hands on my hips and shake them back and forth. For Closing, I touch my toes. They love this and it really helps them remember the parts of a letter! I used this anchor chart to help me teach the parts of a letter this week! 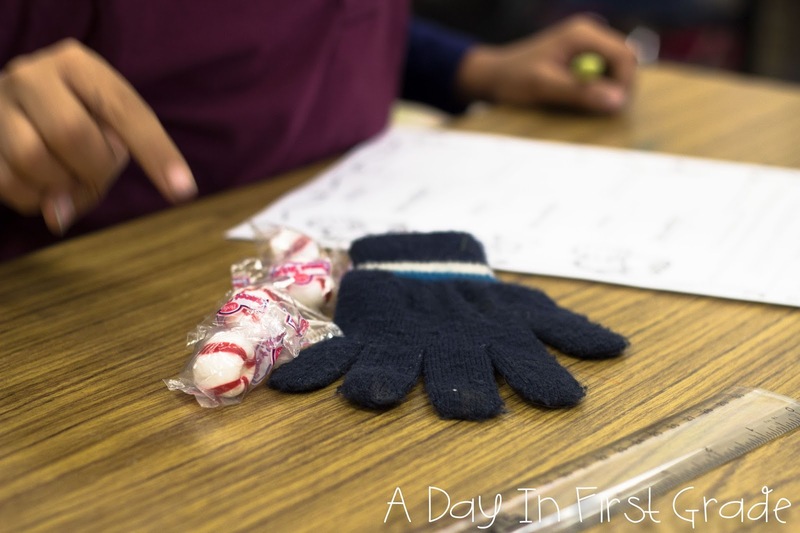 My friend Lyndsey from A Year Of Many Firsts has an awesome prompt in her Oh The Weather Outside is Frightful pack that fit right in with what we were doing. In her packet she includes a letter from Frosty to the kids! I put it on my board in a “fancy envelope” and had one of my students read it to the class. The letter told my students that the weather was getting too hot and that he was going to melt. He asked my kids to help give him ideas on how NOT to melt. My students LOVED brainstorming ideas on how to prevent Frosty from melting and then got to work filling out their rough draft of ideas. To do this I used a method called “Whip Around.” I have my kids sit back to back and gave them each the prompt in our plastic covers. 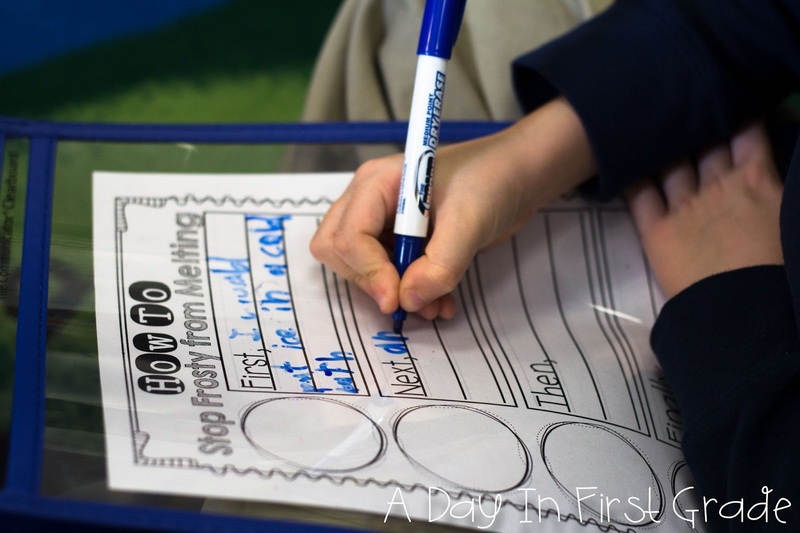 Writing in dry erase markers is always a huge hit and also allows my students to change their ideas without needing to erase or start over again. 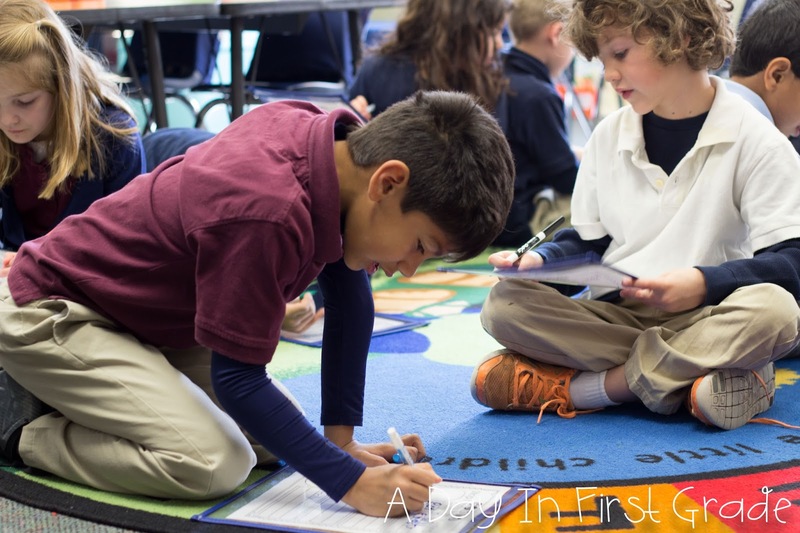 After about 8-10 minutes of writing, the partners “whipped around” and sat knee to knee and shared their ideas with their friend. 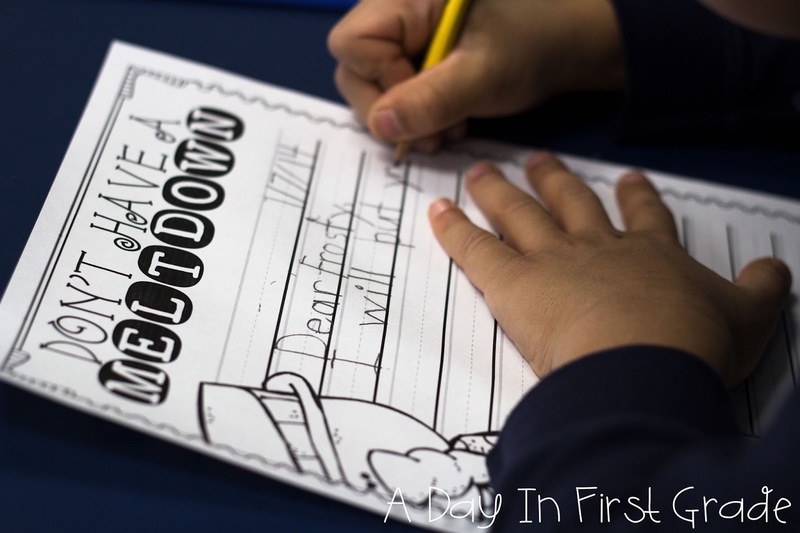 Sharing their ideas is one of their favorite things to do and it also helped them get all their ideas out before writing their letter to Frosty. After we shared, they went back to their seats and got to work on their letters! They worked so hard and used all of the parts of a letter. To keep with our winter theme, for Math, we completed a really fun “math investigation.” I love using investigations because it engages all of my students. 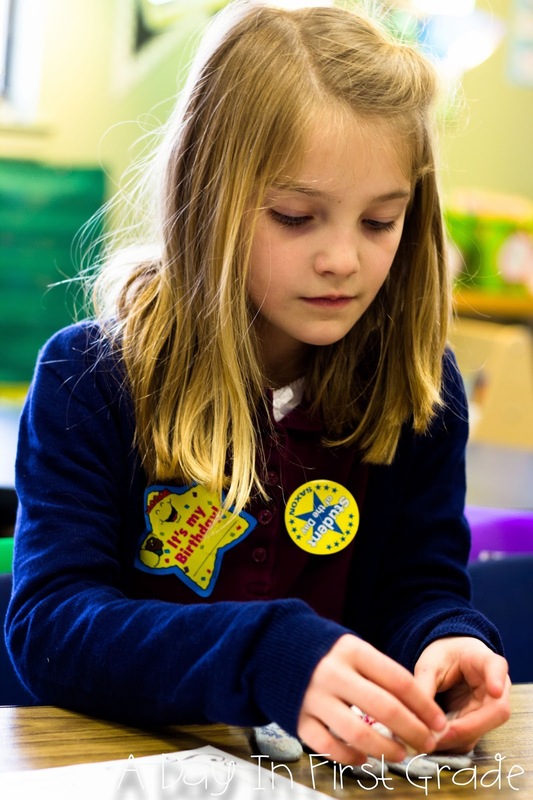 They love to explore the ins and the outs of the activities and it helps them master sometimes difficult concepts. To do this investigation, we started by reading the book “The Mitten” by Jan Brett. We were working on using standard and non-standard units of measurement and I thought it would be a great idea to have my students measure different mittens using peppermints and their rulers! 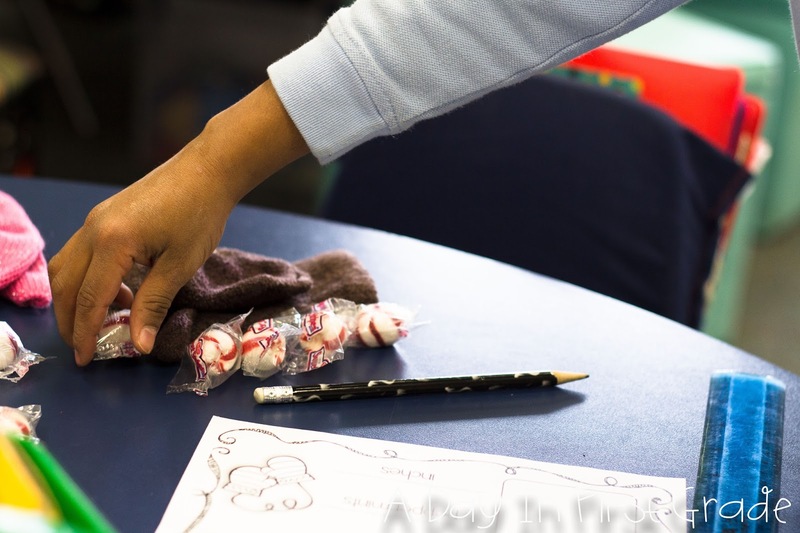 I put three different sized mittens, a recording sheet, peppermints and rulers for each of my students at each table. My students then needed to use their tools to determine how long each mitten was in peppermints and in inches. They carefully investigated their mittens and recorded their findings! 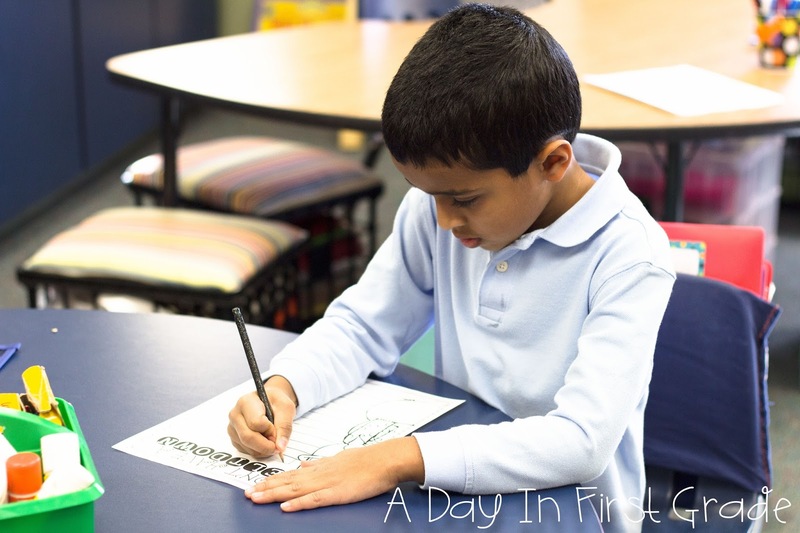 They really enjoyed this activity and it helped them meet the standards in a fun way! I hope that y’all are staying warm and having a great week back at school! I’m not going to lie, I am probably going to be asleep by 9pm tonight!! I am TIRED!! 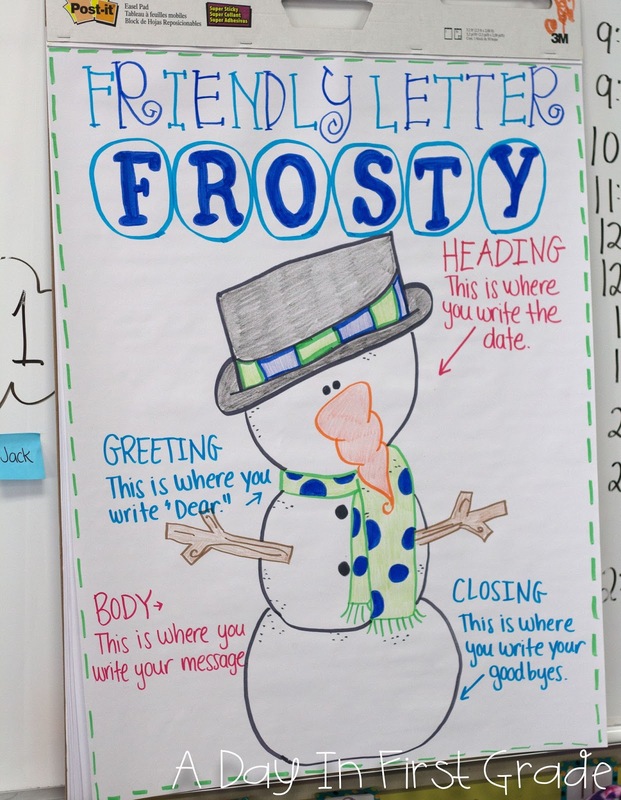 I love the idea of writing a letter to Frosty! 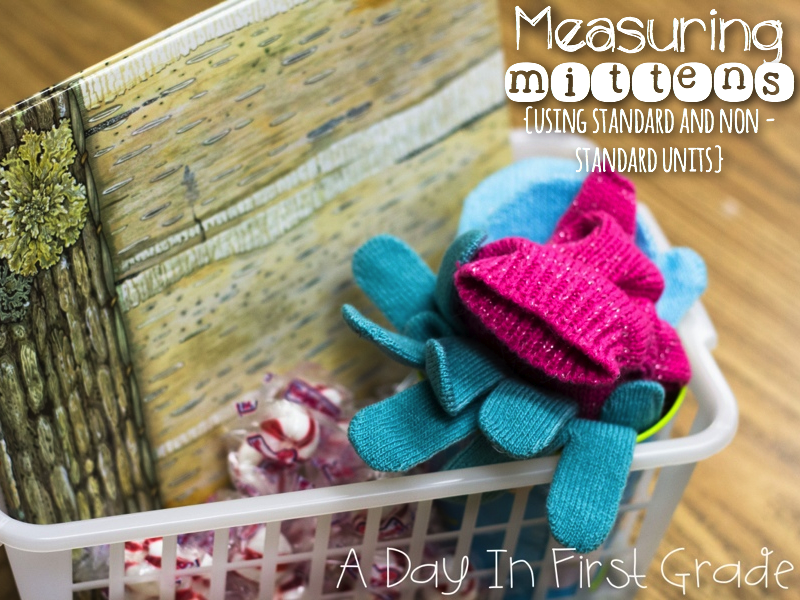 The mitten activity is a great way to incorporate measuring with nonstandard units of measurement! I will have to do these activities with my students. Thanks for the great ideas! Love this whole post. 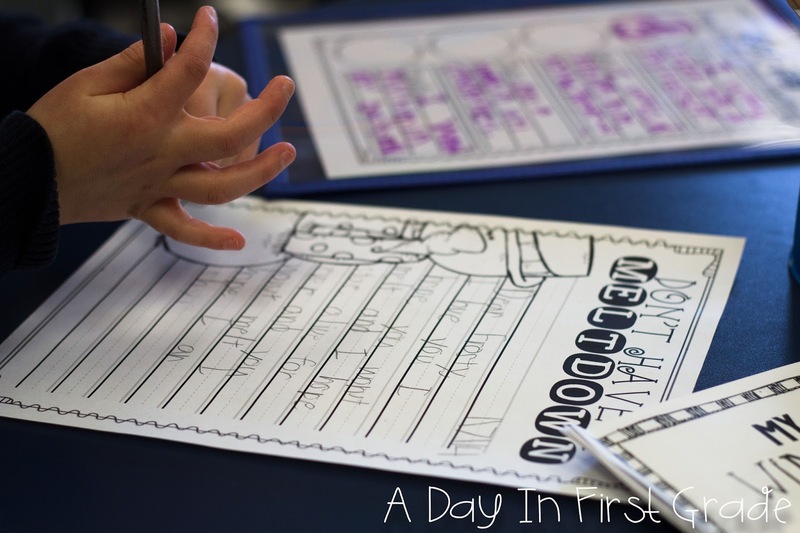 Your anchor chart turned out so stinking cute and LOVE the whip it around. The kids must eat it up just for the name 🙂 definitely logging that one in the memory bank because whip it around sounds so much better than turn and talk 🙂 Thanks for sharing all your fabulous ideas Kristen!! !